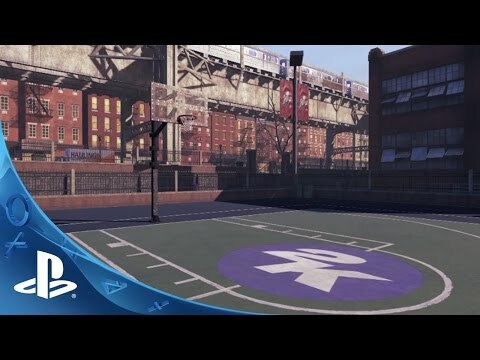 NBA 2K15 hits the court with unprecedented life-like graphics, ultra-realistic NBA gameplay, and more. Available October 7. © 2005-2014 Take-Two Interactive Software and its subsidiaries. All rights reserved. 2K, the 2K logo, and Take-Two Interactive Software are all trademarks and/or registered trademarks of Take-Two Interactive Software, Inc. The NBA and individual NBA member team identifications used on or in this product are trademarks, copyrights designs and other forms of intellectual property of NBA Properties, Inc. and the respective NBA member teams and may not be used, in whole or in part, without the prior written consent of NBA Properties, Inc. © 2014 NBA Properties, Inc. All rights reserved. The ratings icon is a trademark of the Entertainment Software Association.